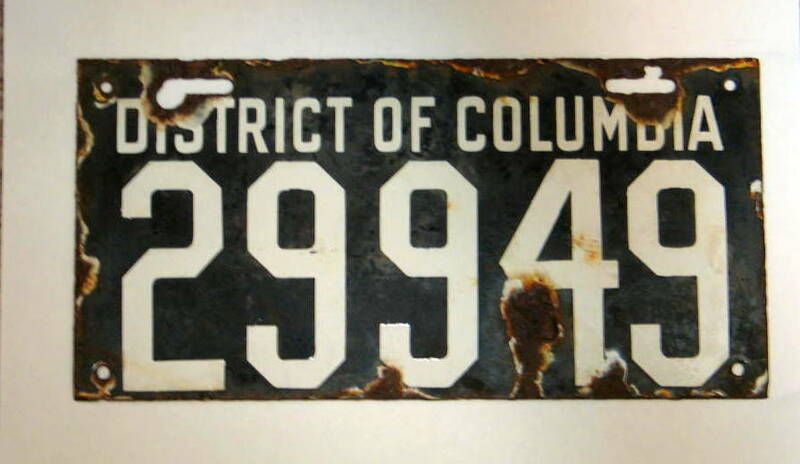 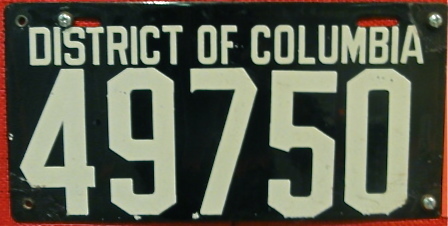 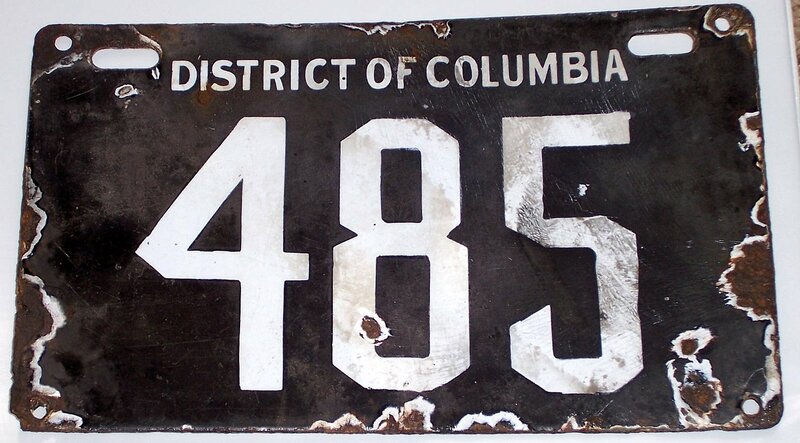 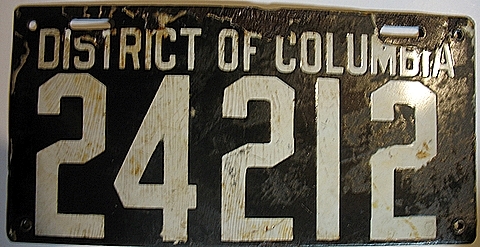 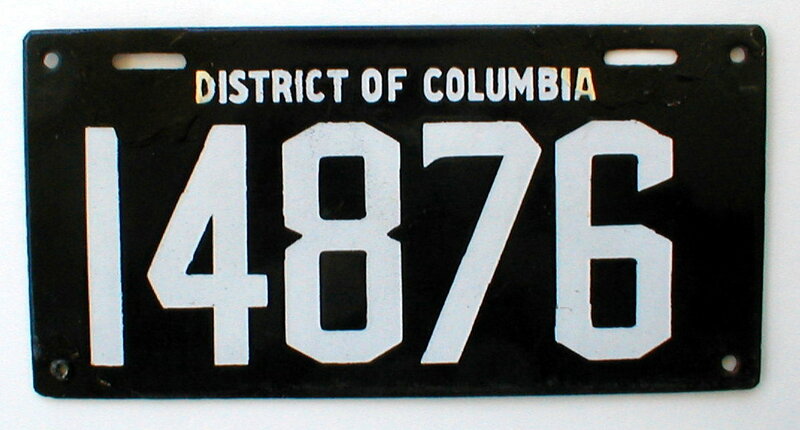 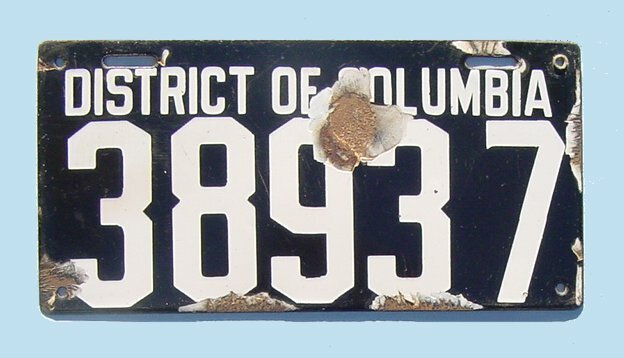 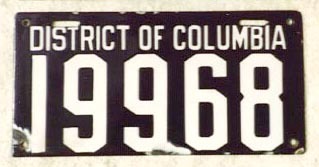 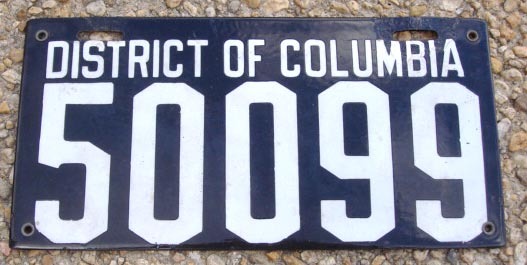 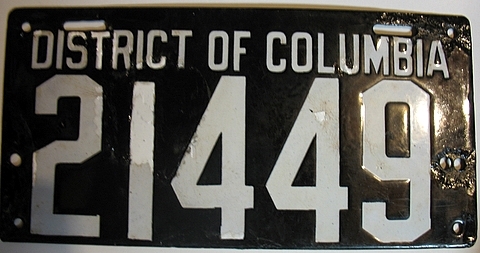 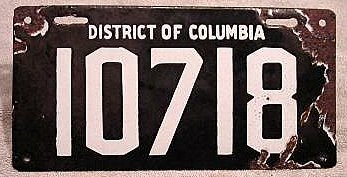 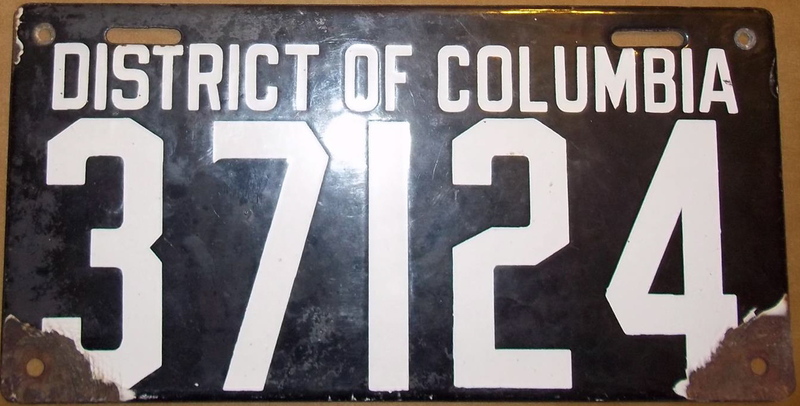 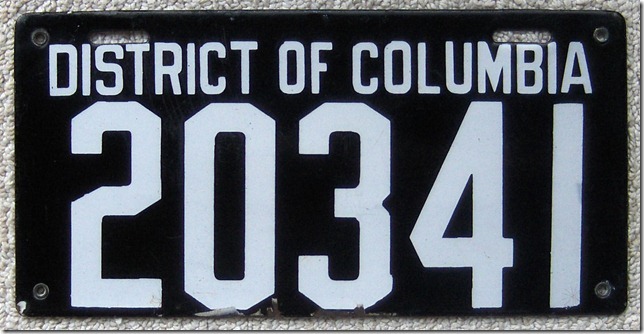 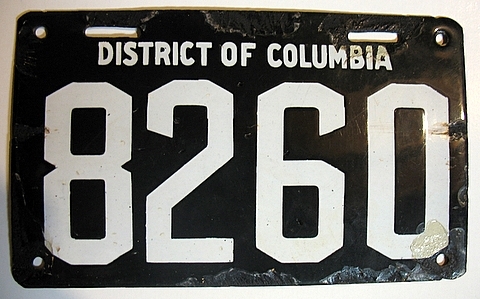 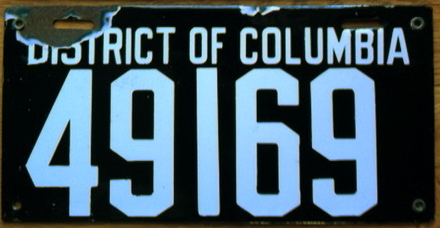 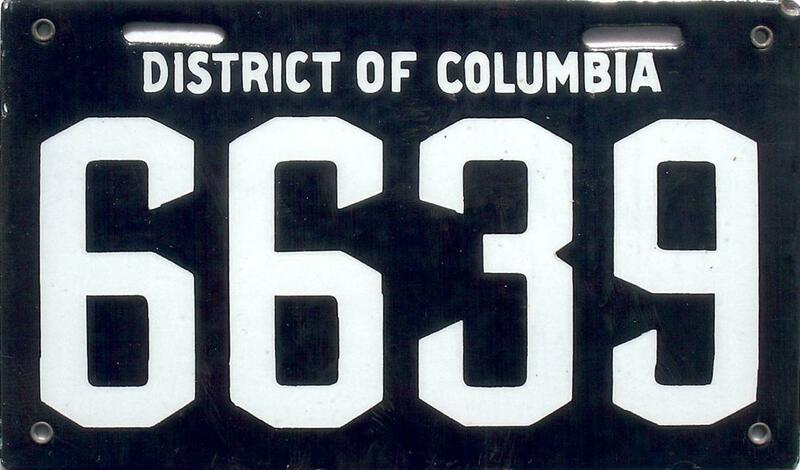 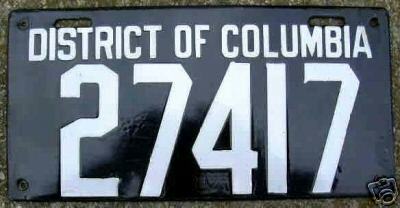 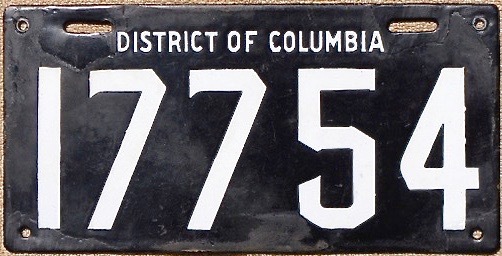 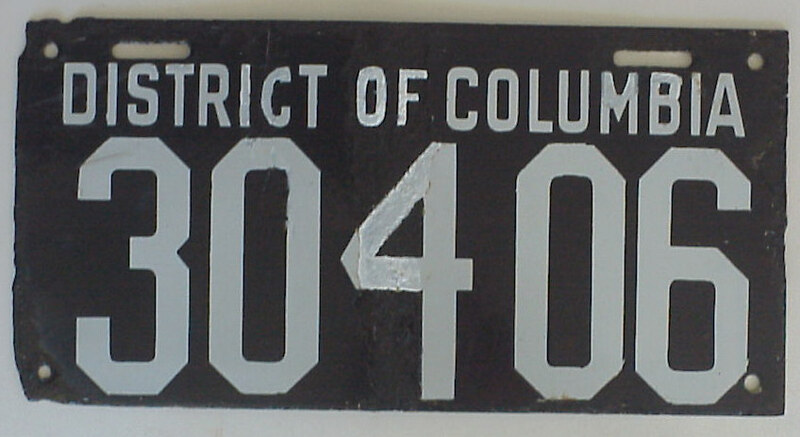 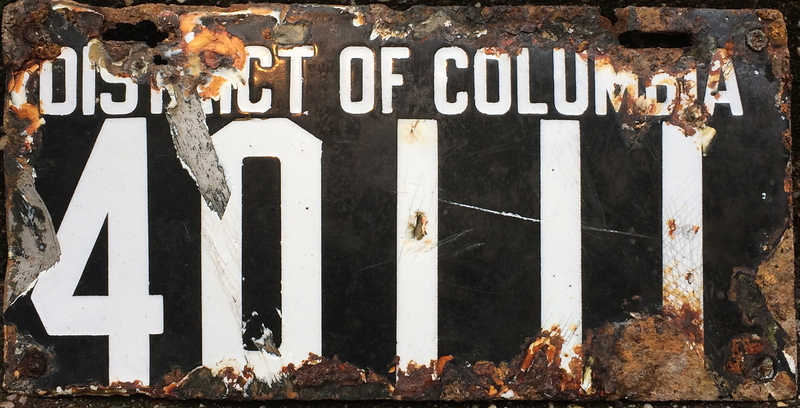 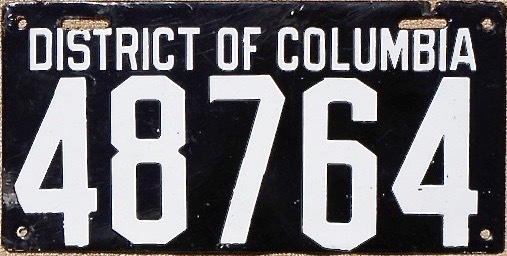 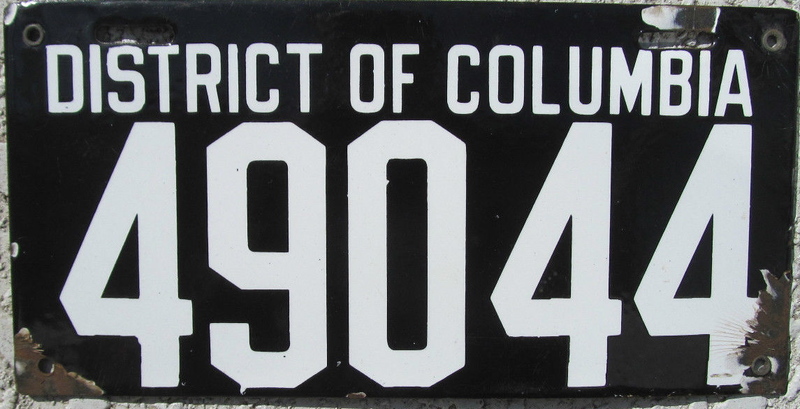 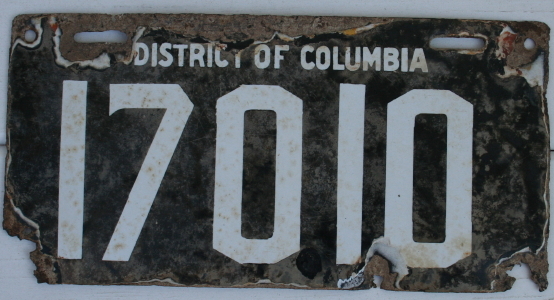 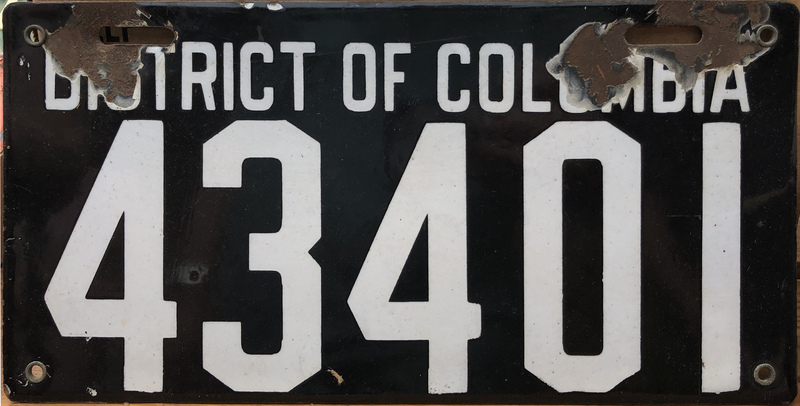 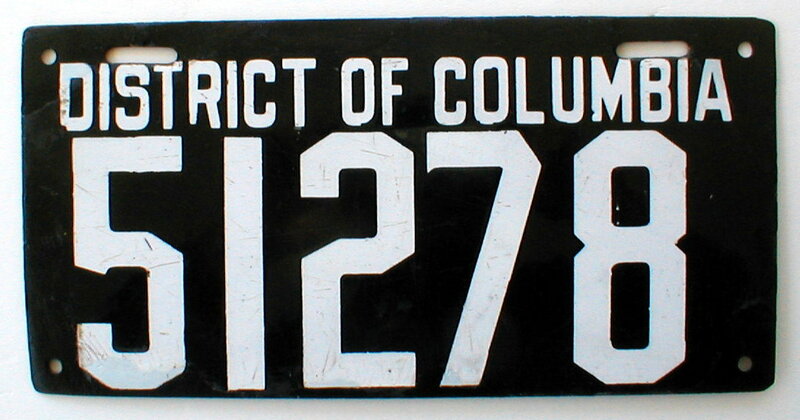 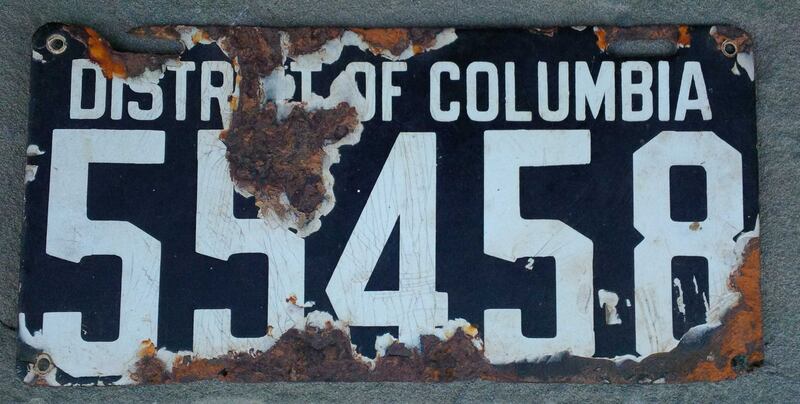 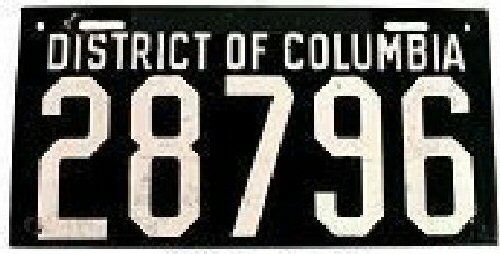 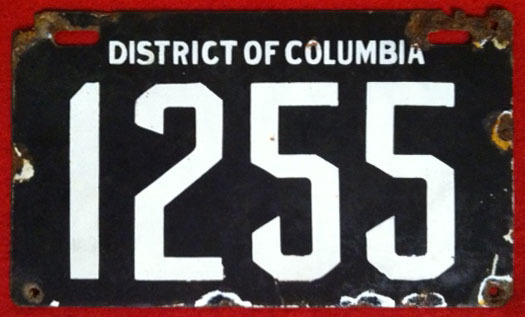 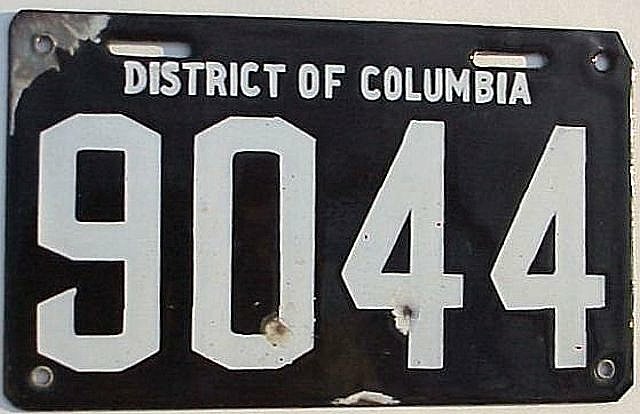 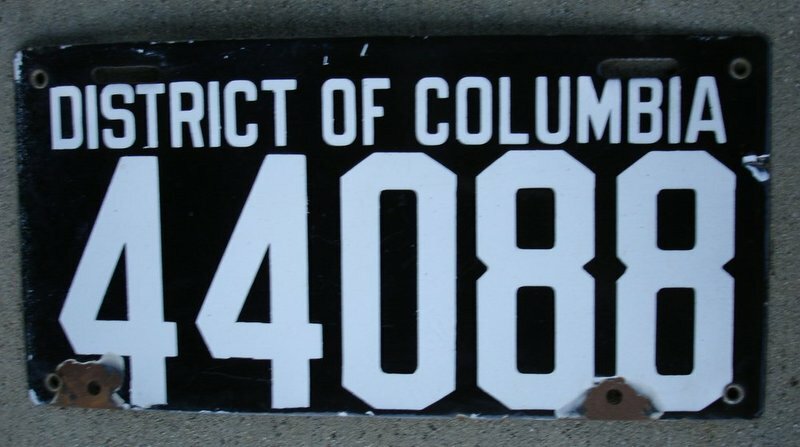 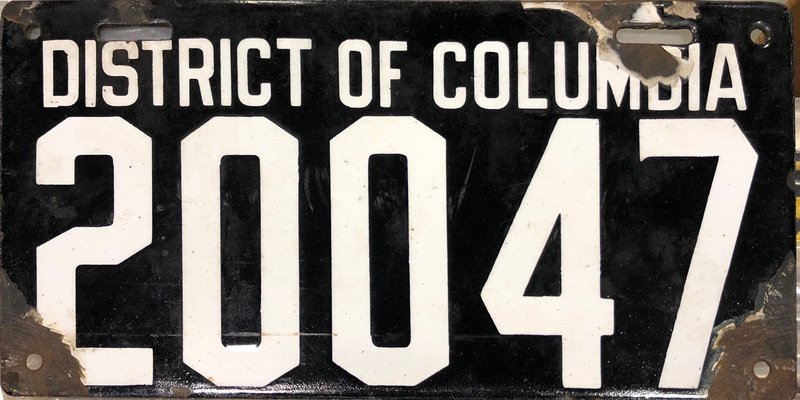 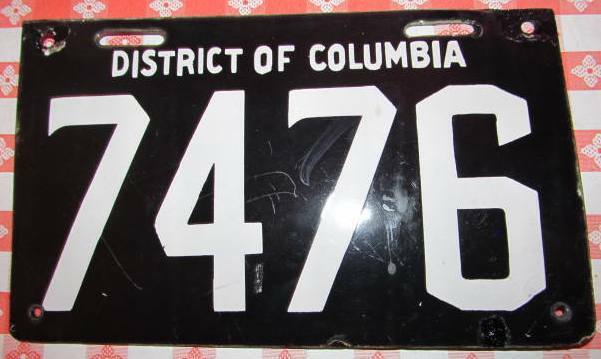 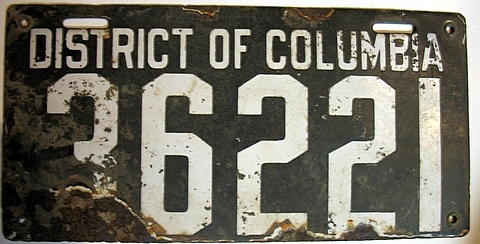 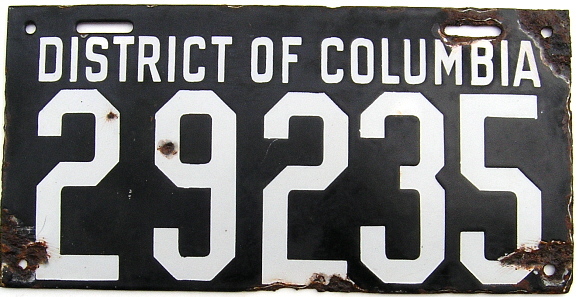 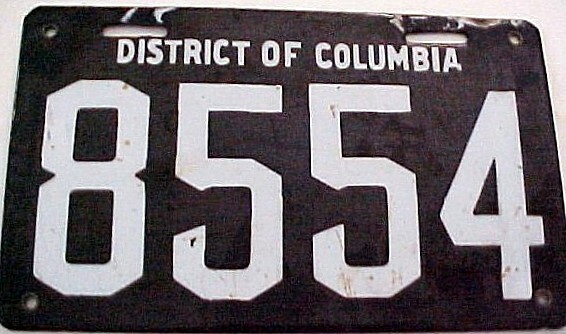 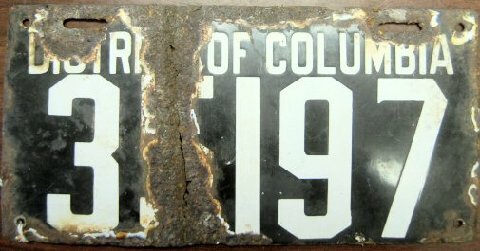 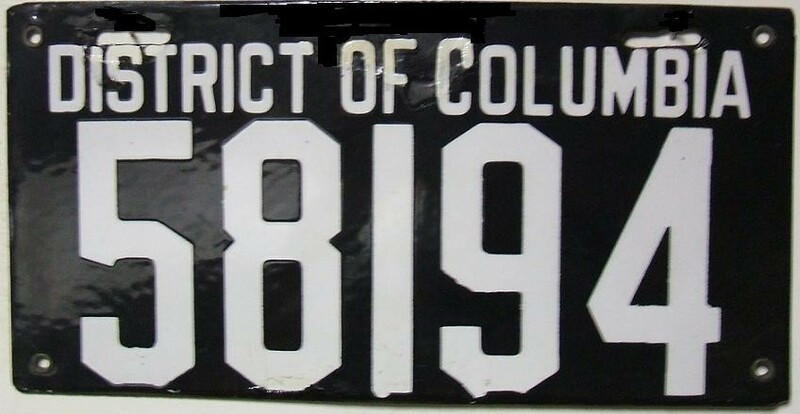 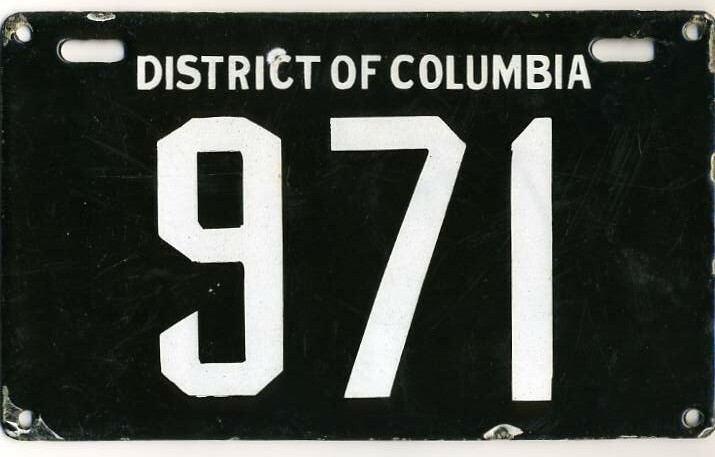 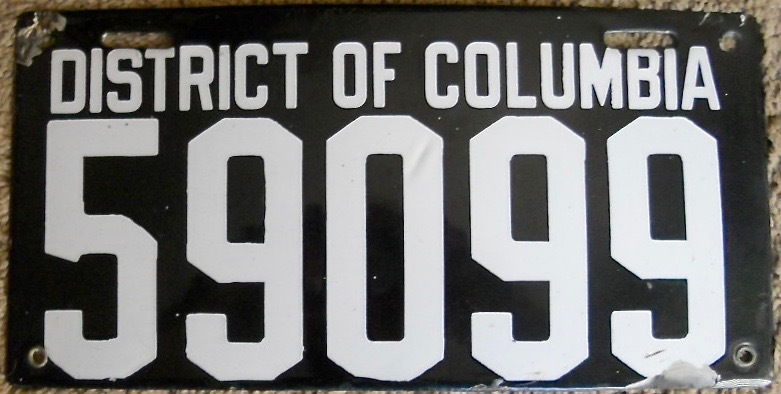 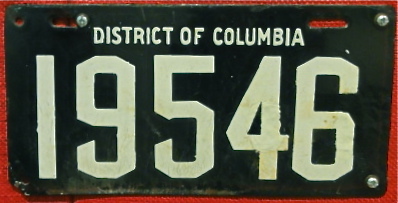 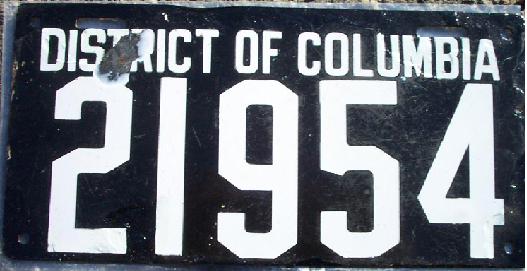 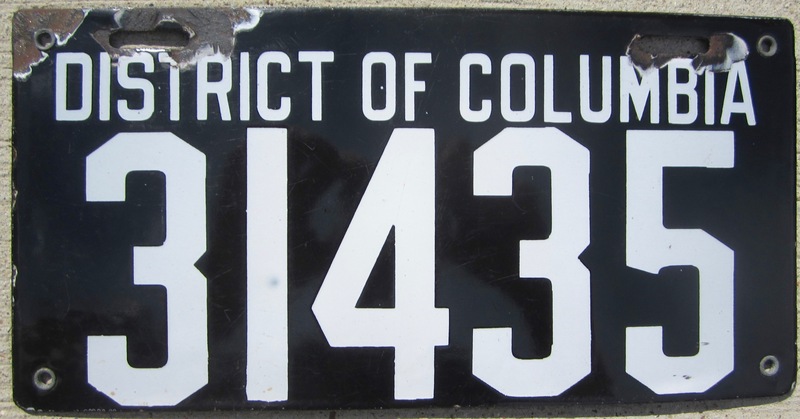 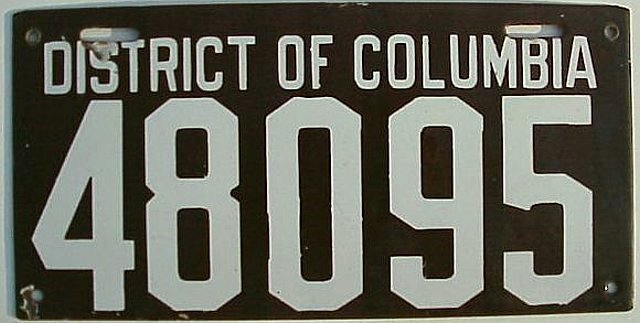 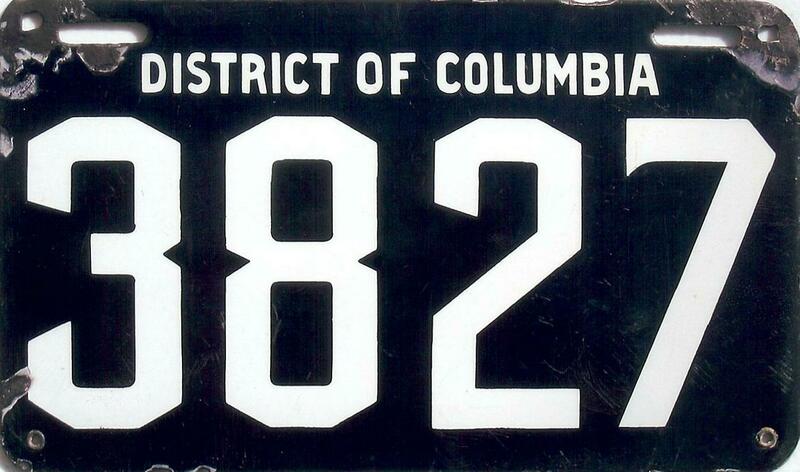 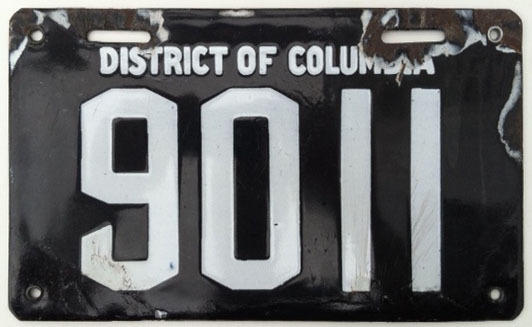 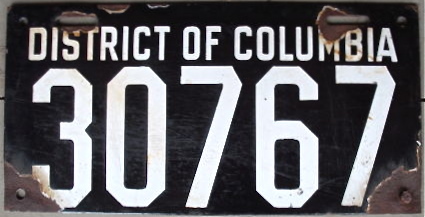 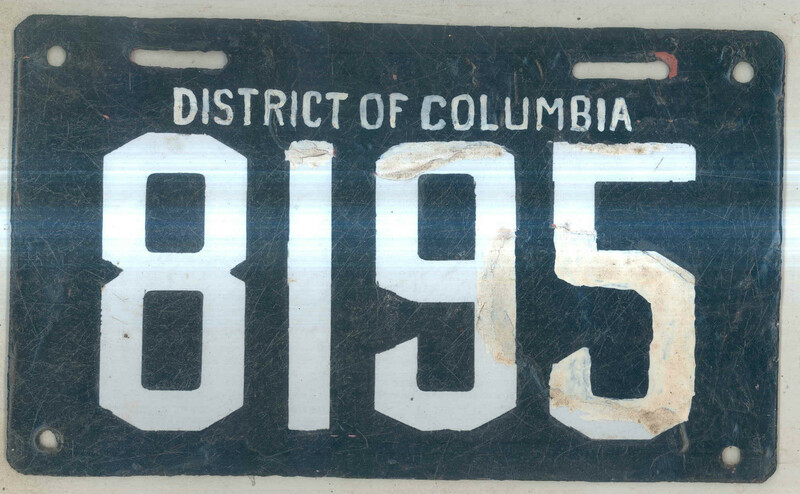 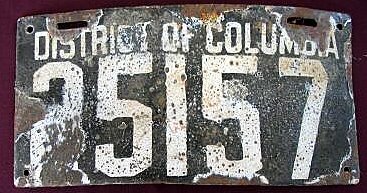 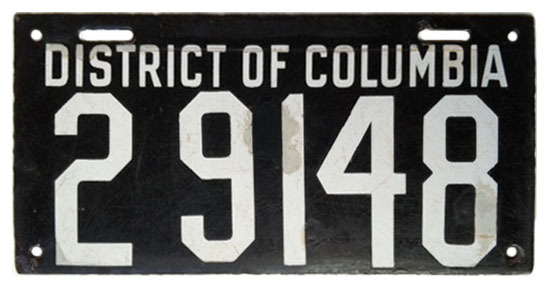 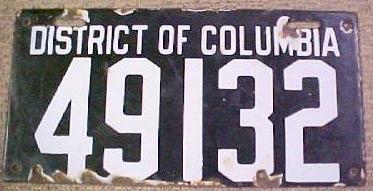 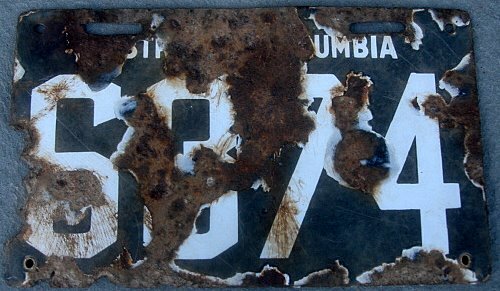 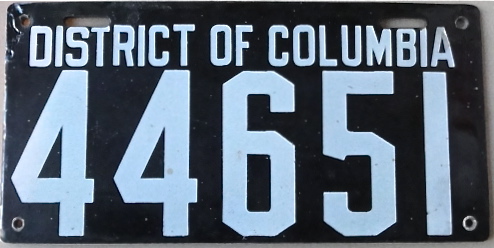 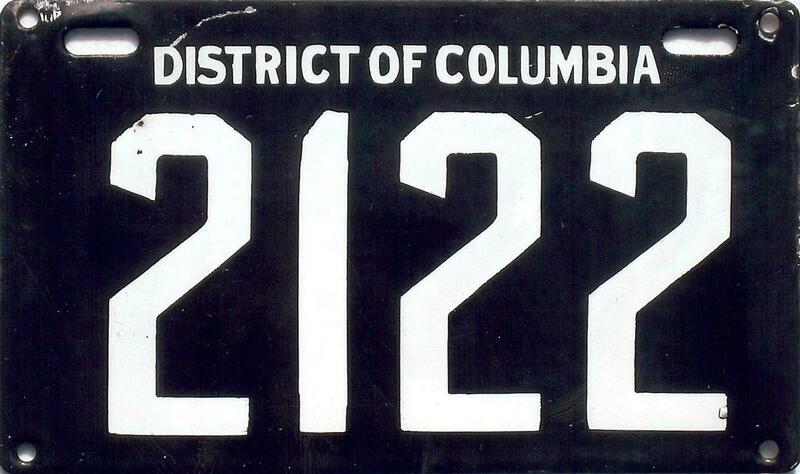 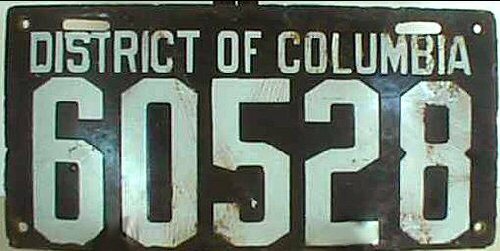 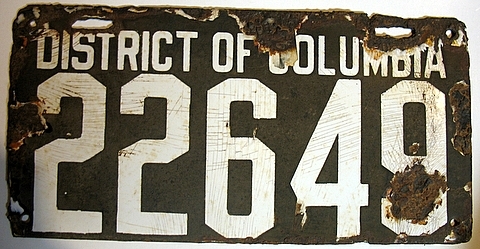 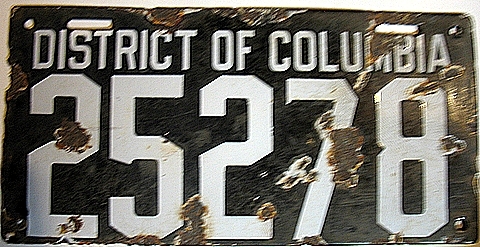 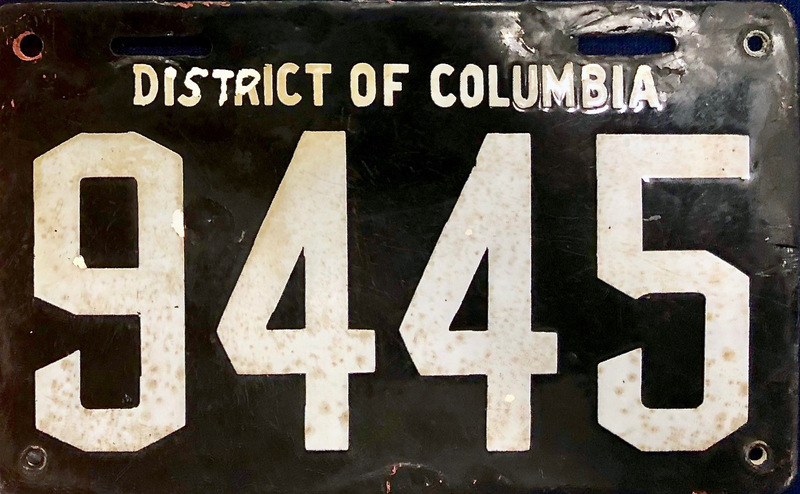 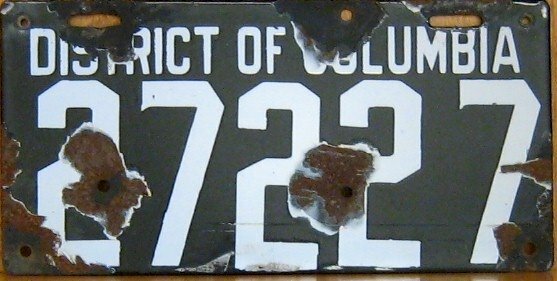 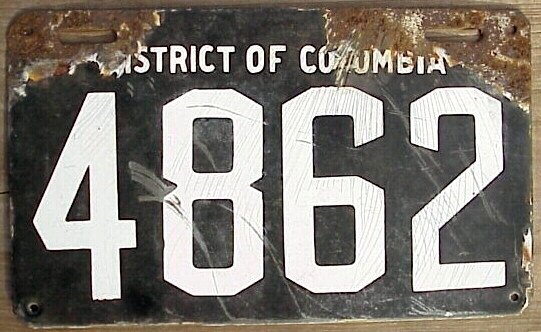 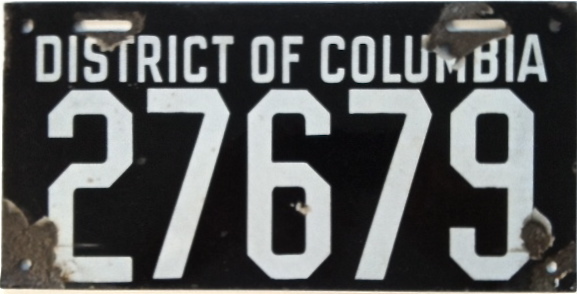 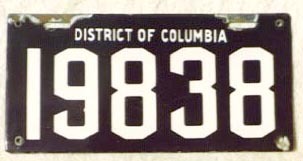 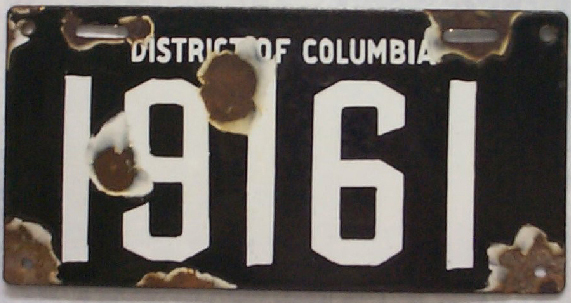 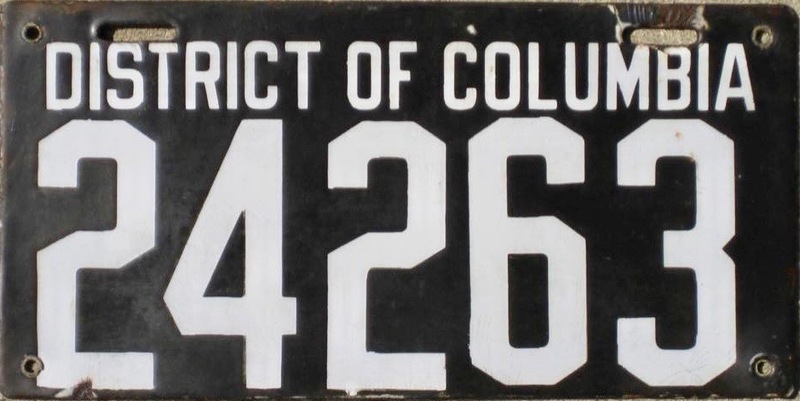 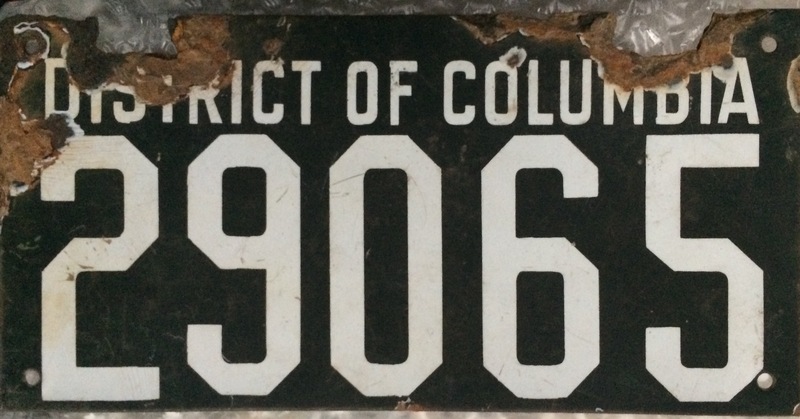 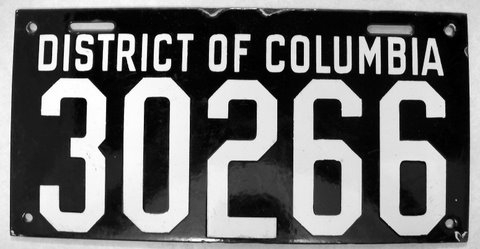 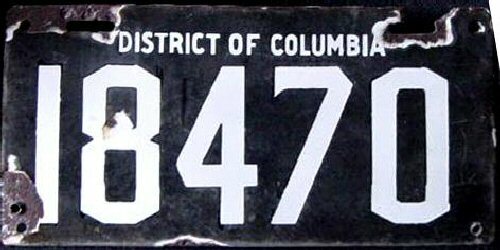 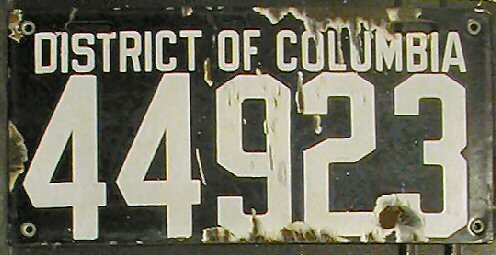 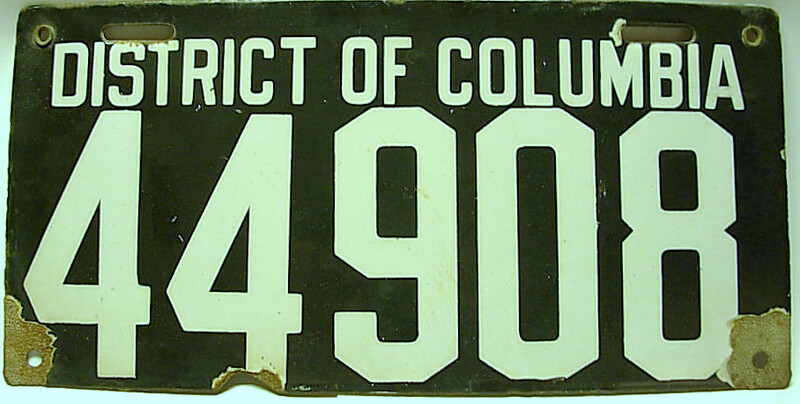 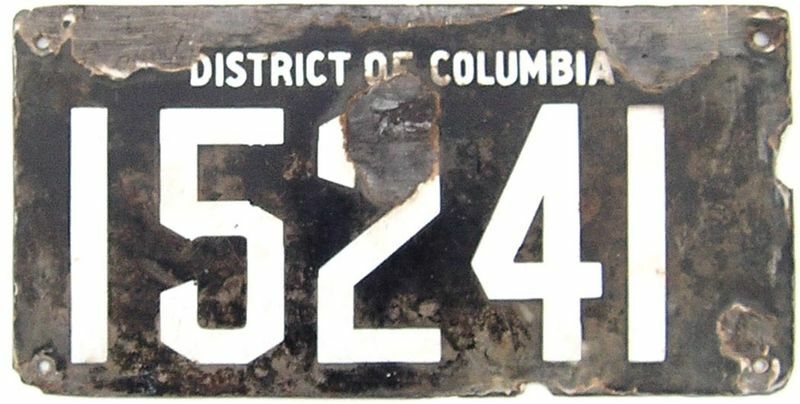 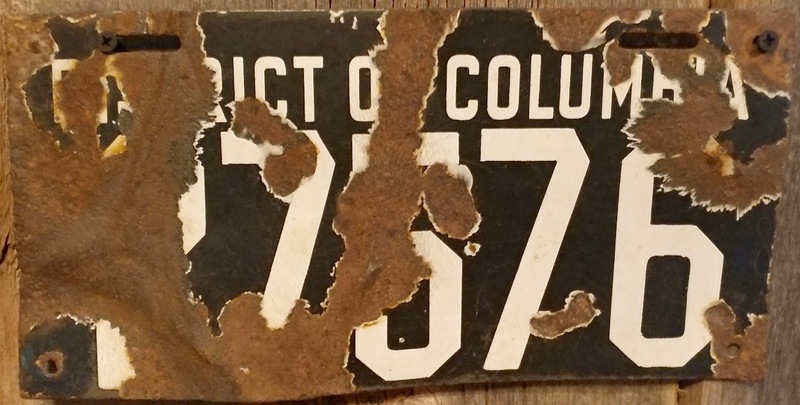 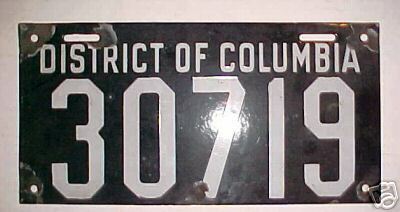 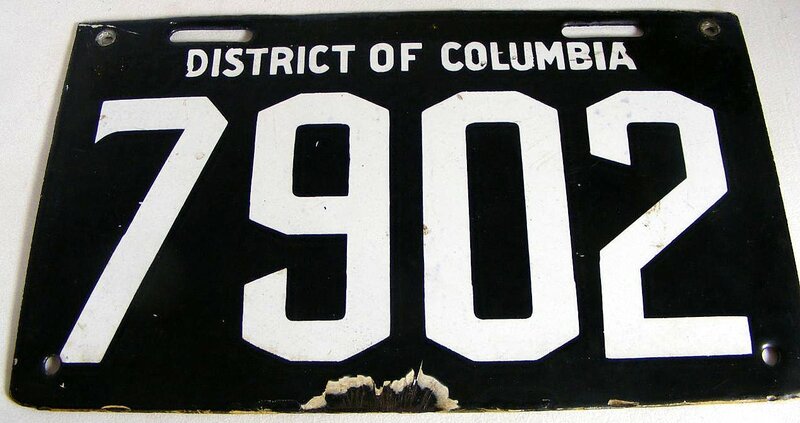 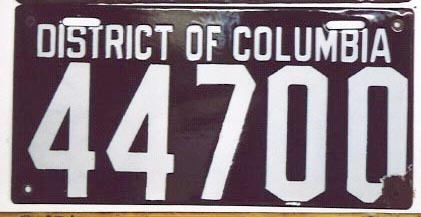 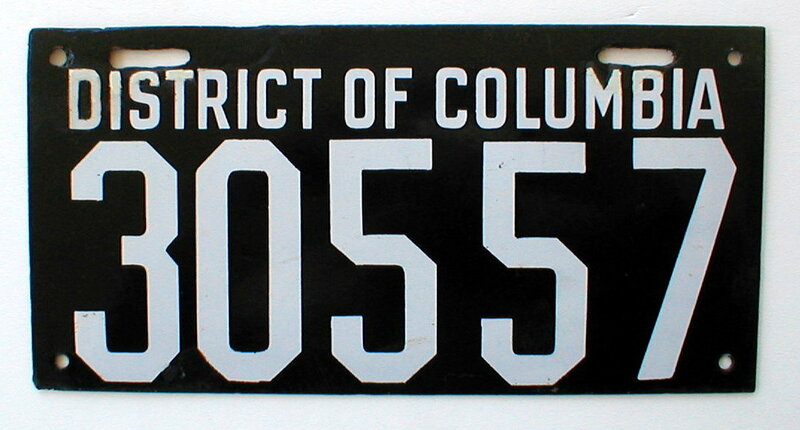 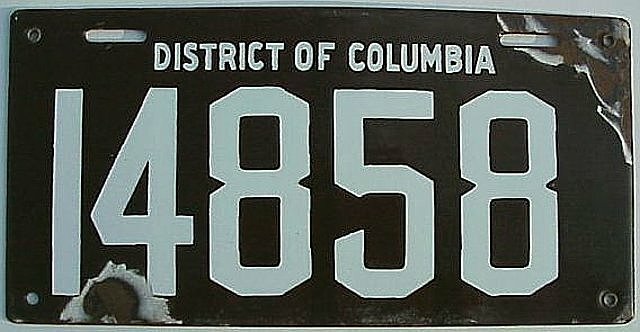 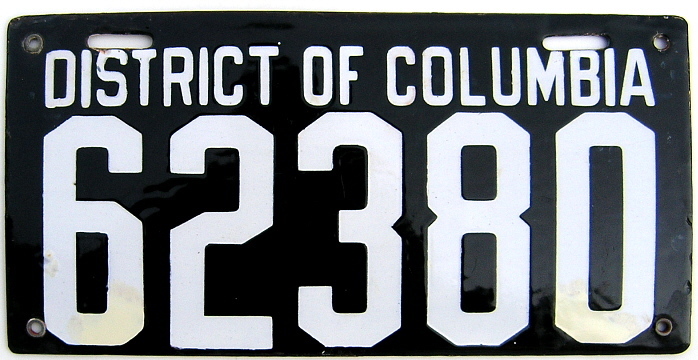 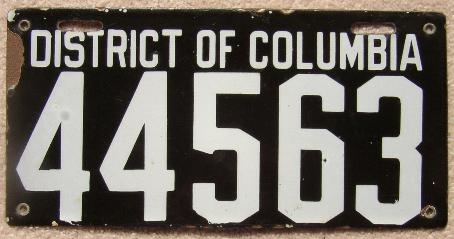 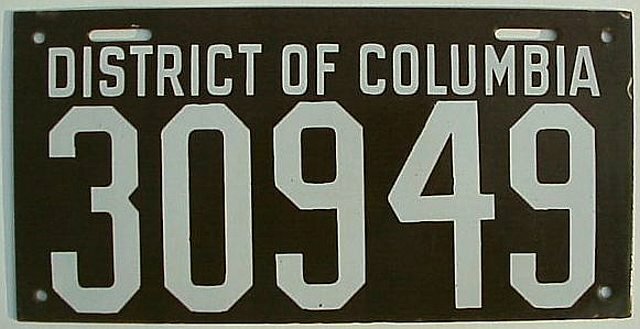 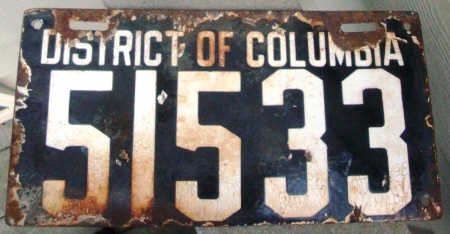 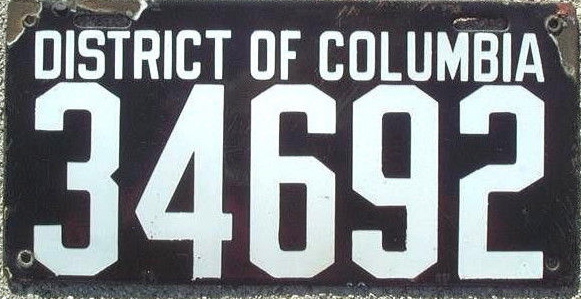 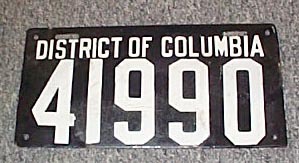 These pages are an attempt to document all known surviving Washington, DC porcelain license plates, as well as plates from 1918. 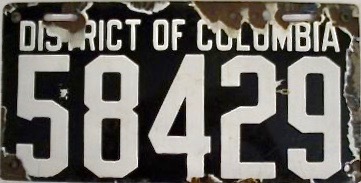 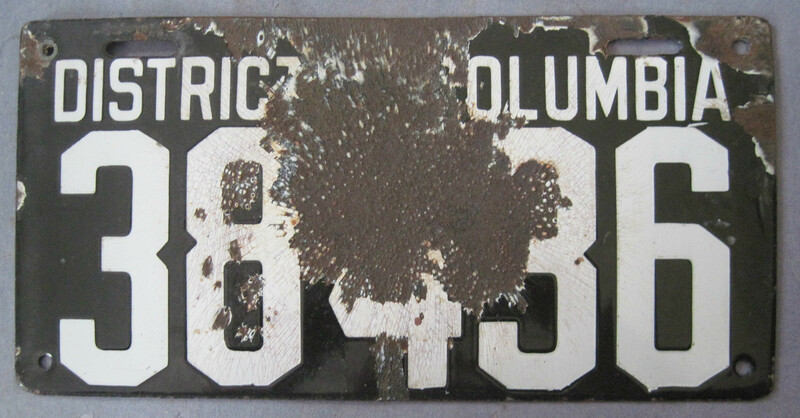 Information and photos have been submitted by the plates' owners, have been taken from ALPCA archival materials, or have been downloaded from eBay or elsewhere on the internet. 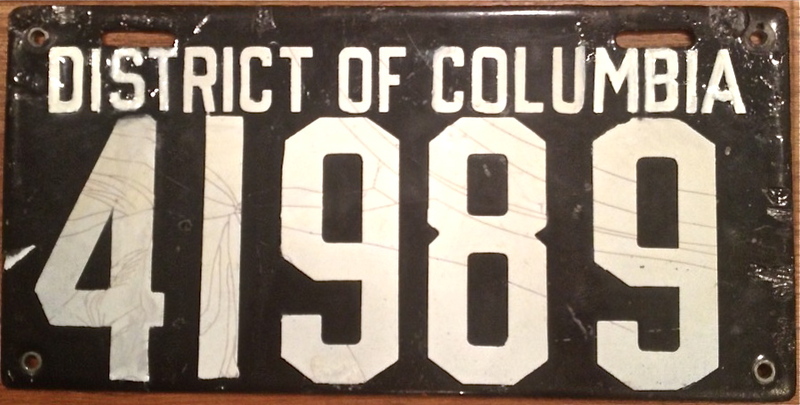 Any additions, corrections, or comments are encouraged. 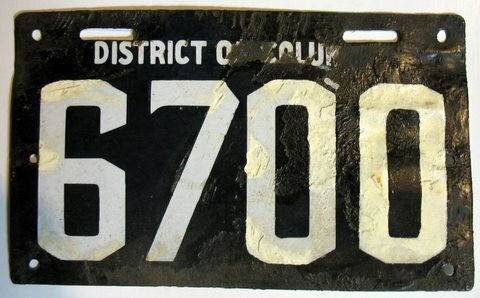 Please use the email links at the bottom of the page.